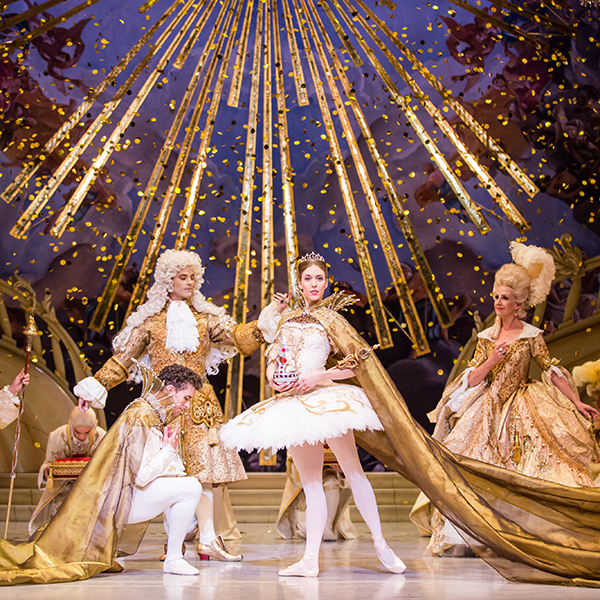 It happens every time: when the curtain goes up on the third act of David McAllister’s The Sleeping Beauty there’s a huge collective gasp, followed by a torrent of applause, as three immense chandeliers rise like hot-air balloons to the ceiling. 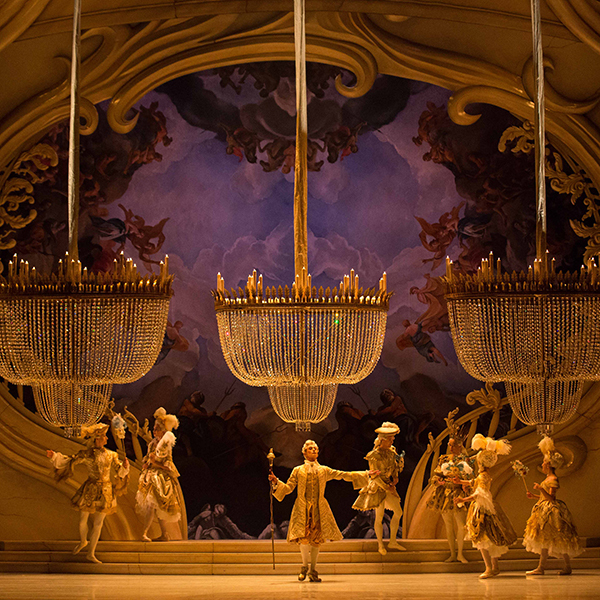 It’s one of countless ‘wow’ moments in Gabriela Tylesova’s lavish set design for the ballet, which includes a storybook castle adorned with a peacock; clouds that part to admit sparkling fairies; immense, fantastically twisted Baroque pillars; and a golden-glitter finale. 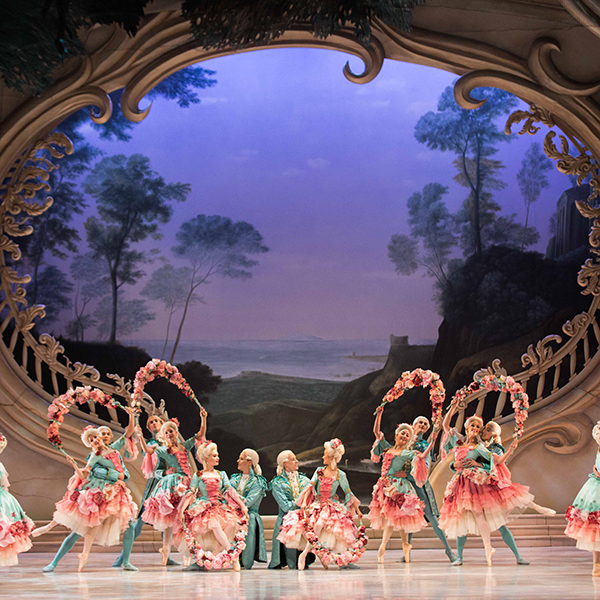 The Sleeping Beauty, its original 19th-century form as the creation of a close partnership between Petipa and Tchaikovsky, was a splendid pageant designed to sweep audiences off their feet and delight the Czar. 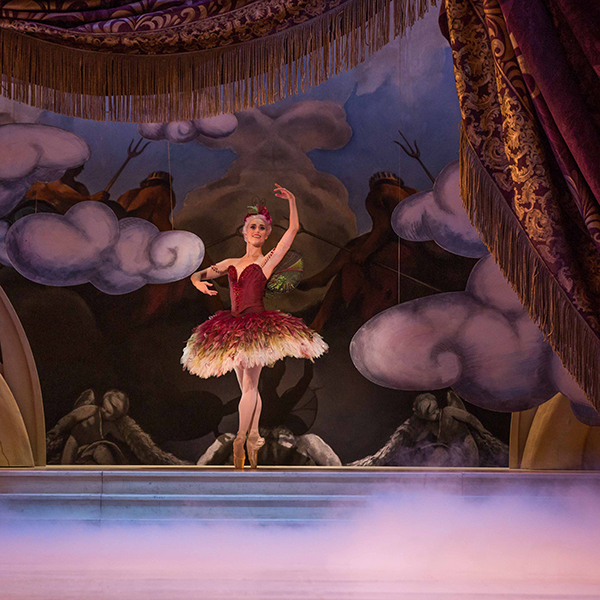 In countless revivals down the centuries, it has remained ballet's grandest tale, both a transporting fairytale and a dazzling spectacle. Tylesova's design captures all the splendour of this heritage and adds an otherworldly, modern twist. You can enter Fantasy Land in 2017. Book your tickets ... and in the meantime, feast your eyes. 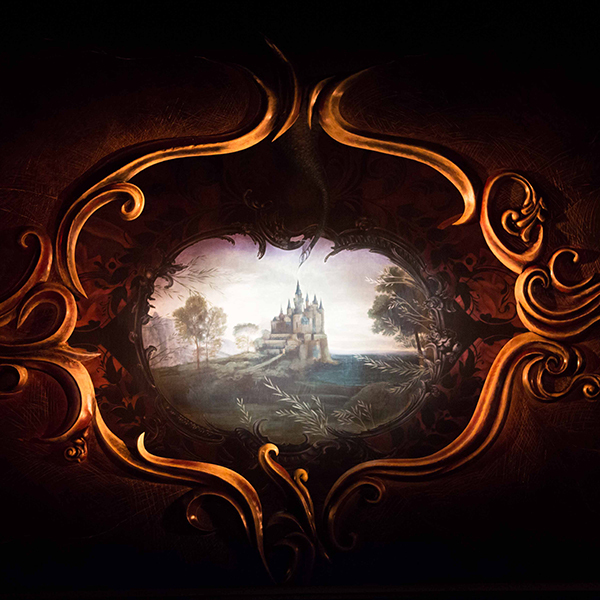 The scene that greets you when you enter the theatre is meant to evoke the opening of a fairytale book. The garden party to celebrate the Princess Aurora's 16th birthday party. 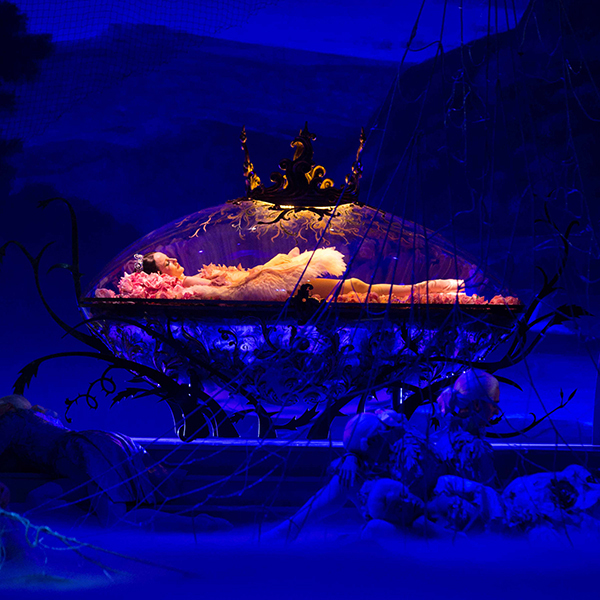 Tylesova wanted the casket in which Aurora sleeps to be like a dew-drop poised in briar thorns. 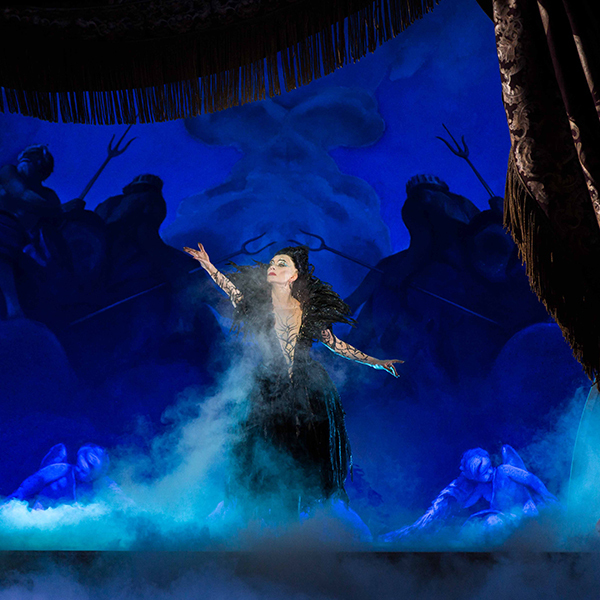 ... and so does the angry fairy Carabosse, furious at being left off the guest list. ... ending in a spectacular glitter drop to celebrate the marriage and future succession of the Princess.